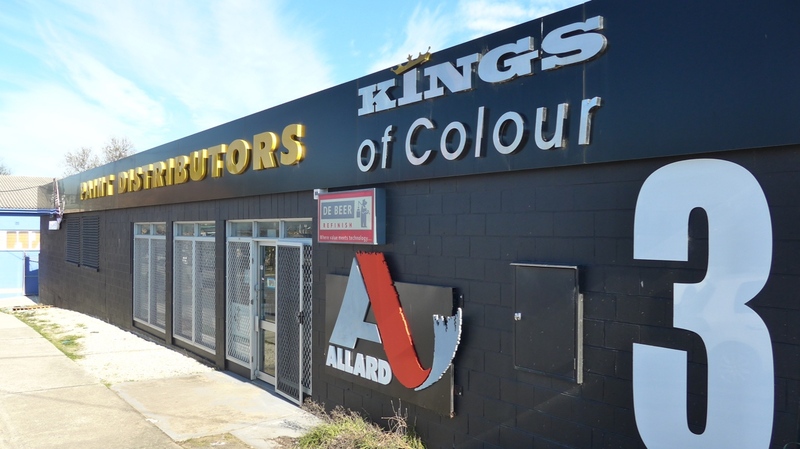 Colour Tools, Allard’s have access to a number of Colour Tools to help you get the best choice of colours to your finish. A number of these tools come courtesy of Valspar. 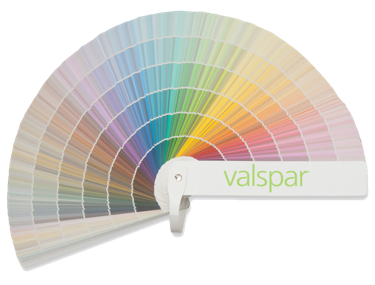 Valspar colour boxes consist of fan decks containing over 4000 colour & variant chips. The tools that we use allow us to search by car manufacturer and visualise different variants and shades of original car colours without performing any spraying. Our colour charts and tools are updated several times a year. It’s important that Engine Bays and Bumpers match with your paint job. Valspar have a number of Engine Bay & Bumper Colour Fan decks. These are valuable for workshops as it allows you to match colours quickly and accurately. Car Colours Fan – Over 1260 international colours sorted by manufacturer. Our largest all in one reference tool. Australian Standard Colour Card (AS2700) – Nationally recognised set of 206 colours commonly used in fleet, industrial and sign writing. The Valspar Refinish system has its own colour tint chart. The chart features colour chips of all tinters at full strength and at the percentages when mixed with metallics. Tinters are arranged by colour family to show the variances between comparative colours. Colour Wheels are great for getting an idea for colours. Better still they are great for finding matching colours making them excellent colour tools. How do you use a Colour Wheel? Easy, pick a colour on the wheel and look at the directly opposite colour. For example, if a colour appears at the very top of the wheel, then the colours at the very bottom will be complimentary colours. Check out this video to understand the colour wheel. Valspar Refinish toners are arranged by colour family and are positioned on a colour wheel to show how each toner relates to the others in the colour space. Tinters placed closer to the centre of black are a dirtier shading, with those in outer areas giving cleaner hues. You can view the Colour Wheel here by clicking the image below. Note! The Colour Wheel will open in a new window. The Paint Code of your car is printed on the Manufacturer’ compliance identification plate, approx. the size of a Credit Card, somewhere on your car. When you view the plate paint or sticker, the colour is usually referred to as “Ext. Colour” / “Paint”. The diagram and colour tools below shows where you can expect to find this plate containing the Paint Code. Underneath the diagram are the places where manufacturers have mounted the vehicle identification plate. We use the Car’s Paint Colour code as a colour tool to start making a match with the car’s original colour. As models change over the years, manufacturers move the location of the Identification Plates & labels, hence the reason for more than one possible location. If you cannot locate this plate or the paint code, please provide us with the Vehicle Identification Number (VIN) and we can research our in-house colour tools.